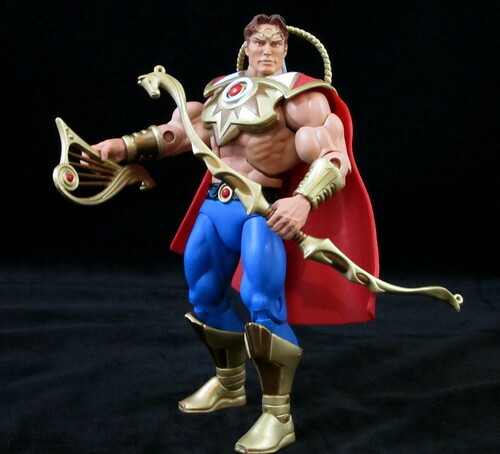 If you have a subscription to Mattel’s Masters of the Universe Classics line there are a few extra goodies you can expect throughout the year – most cost but one is “free”. February brought one of each – in fact there was so much MOTUC stuff for February I’m having to split it into two posts! 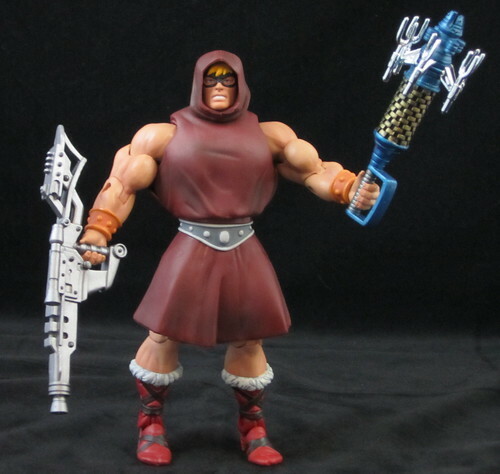 The 2011 Subscription Figure, Preternia Disguise He-Man came out in February and I’m looking at it tonight, along with the regular sub figure, Bow. The sub is a must for me to avoid getting up in the middle of the Australian morning to avoid quick sell-outs, so I am making the most of enjoying the extras that come along with it! Preternia Disguise He-Man is, to say the least, an odd looking figure. It kinda looks like a muscled dude dressed up as a Jawa for some sort of Star Wars fetish party. Appearances aside, the MOTUC line is pretty consistent in terms of quality, apart of the ongoing swapped shoulder issues, and this figure is another nice piece. The cloak is well designed and the paint is flawless. As odd looking as it is, it’s also a nice nod to one of the much-loved aspects of the original He-Man toy line. Without going in to too much detail, this look actually refers back to a plot element from the mini-comic “The Powers of Grayskull – The Legend Begins!”, which from memory came with some of the sixth wave of He-Man figures. It’s a shame that this mini-comic wasn’t reproduced as a special add-in for this figure, because it would have helped the bizarre get-up make sense. If the He-Man in disguise figure isn’t a thrill for you, then at least he does come with the Cosmic Key, which played an important role in the He-Man movie. This is a fairly flashy accessory, and a nice inclusion seeing as it would have a required a new mold which is unlikely to be re-used. The only niggle with it is that it’s quite large and posing He-Man holding it is a challenge as it tends to tip him over at most angles, as the figure has the very loose ankle joints that seem to plague this line. It is achievable, and worth it as it’s a great piece. The combination of the figure and accessory is a rather baffling one. 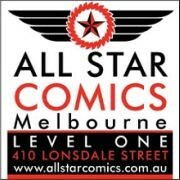 The Cosmic Key doesn’t appear in the mini-comic the disguised He-Man originates from, so what they have to do with each other is hard to decipher. It would have made more sense to package the key with it’s creator, Gwildor. Ah, the mysterious wisdom of Mattel…. The regular figure for February, Bow, is a nod to a different subset of MOTUC collectors, and that is the Princess of Power fans. Bow is the PoP line’s only produced male character to this point. The whole She-Ra thing took place well after I’d left the He-Man world behind as a youngster, so this is my first introduction to the character. This is quite a nice figure – I much prefer the moustachioed head but there is a clean-shaven version if you prefer. The paint on this figure is excellent and the custom elements are all very nicely done. His cape and breastplate apparatus is a little unwieldy – it can come adrift easily and look awkward, however the MOTUC figures hold the weight of a cape nicely so he doesn’t overbalance. As far as accessories go, the archer’s bow, if you’re prepared to add your own string, is one of the most functional and poseable bows I’ve seen come with an action figure. It’s very nicely done – you can actually string an arrow up in his bow and pose him ready to take a shot. I didn’t discover thus until the photos were done, so no pics of this action, sorry! Still, that’s a very nice piece of design! He also comes with a swappable chest emblem – a normal round gem or a heart-shaped gem. I’m not sure what the significance of this is, so I’m sticking with the round gem – the heart shaped one is too much “girls toy” for me! Also the included harp. That’s gone into the “unused accessories box” as well. 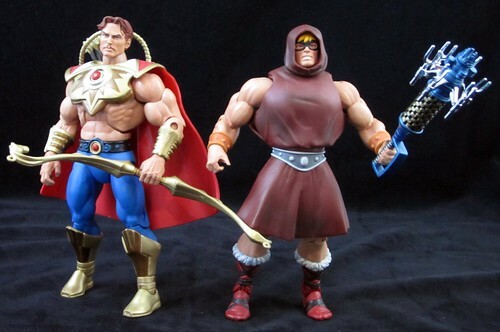 One thing I really enjoy about the MOTUC line is the little nods given to different aspects of the He-Man legacy, from myths like Wonder Bead He-Man to Robot Chicken to the much loved mini-comics and much-maligned film, and it is good to see the Princess of Power folks getting their due as well. Someone behind the line certainly has a very strong knowledge of the source material, and it’s these little touches that give me the sense that there is strength in this line for a long time to come. If that’s the case, colour me a happy collector! Next in the MOTUC review stream will be the amazing Shadow Beasts – they’re quite a treat! Bow for the Win here i would say that He-Man just looks so odd to me.